AMC Books, 2013. 96 pp., illustrated throughout, 10x13½". 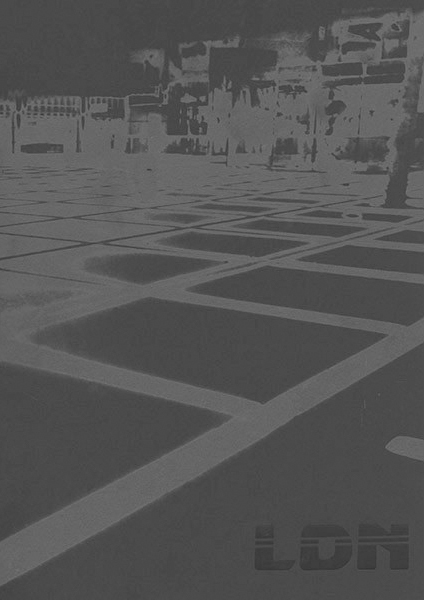 This is a second, updated and completely reformatted edition of Antony Cairns?s (originally handmade) 2010 book LDN. 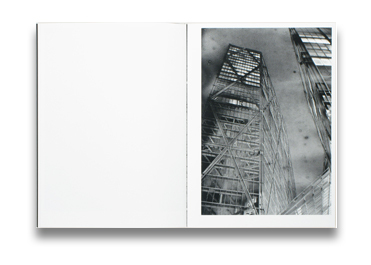 In this new edition the large 25 x 34cm pages and fine 170 gsm Claro paper draw the viewer into a late-night expedition across a mysterious city of tilted landscapes that flicker past like reflections in the windows of a moving train or car. This is a London whose inhabitants are only hinted at, a London of glaring subterranean lights and inhospitable buildings of indecipherable purpose. The images form an architectural frieze that is tantalisingly familiar yet hard to pinpoint for those who know the city, with an edge that will be recognised by anyone who has experienced the latent tension that permeates the streets in the hours before dawn. Read Adam Bell's review of LDN2 on photo-eye Blog.